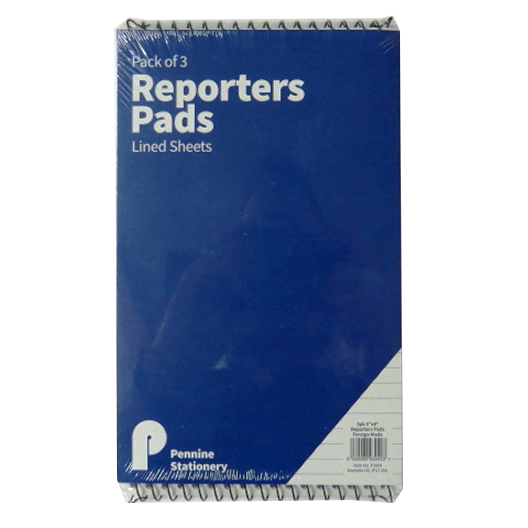 Pack of 3 Reporters Notebooks. Each measures 205mm x 126mm. 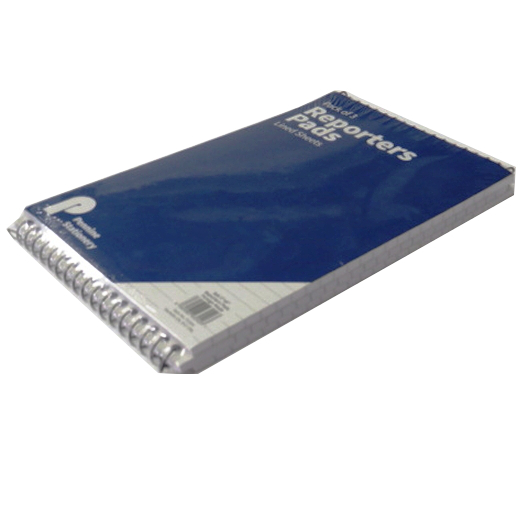 Each notebook comes with a protective card front cover and solid greyboard back cover. 120 pages, 70gsm white ruled writing paper inside. Wirebound on the short edge (126mm) with metal wire for easy page turn over. 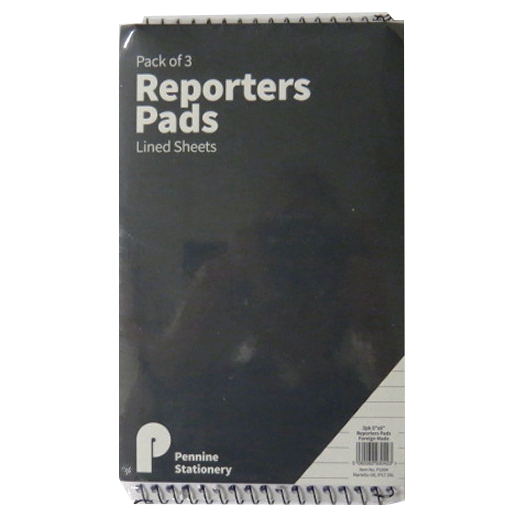 Great for taking notes, writing to do lists, letters and more.